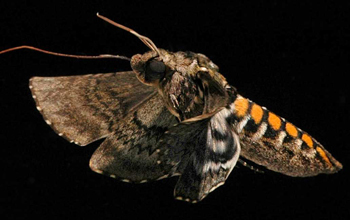 A hovering tobacco hawk moth (Sphingidae: Manduca sexta). The moth's wings beat about 25 times a second and considerable deformation of the wings occurs during certain phases of the wing stroke. (Note the S-shaped deformation of the left wing in this picture). Based on previous studies on insect flight, researchers assumed that insect wings are relatively rigid as they flap. But research by Andrew Mountcastle, a doctoral student in biology at the University of Washington (UW), used high-speed digital imaging to show that, at least for some insects, wings that flex and deform--similar to what happens to a heavy beach towel when you snap it to get rid of the sand--are best for staying aloft. "The evidence indicates that flexible wings are producing profoundly different air flows than stiff wings, and those flows appear to be more beneficial for generating lift," said Mountcastle. 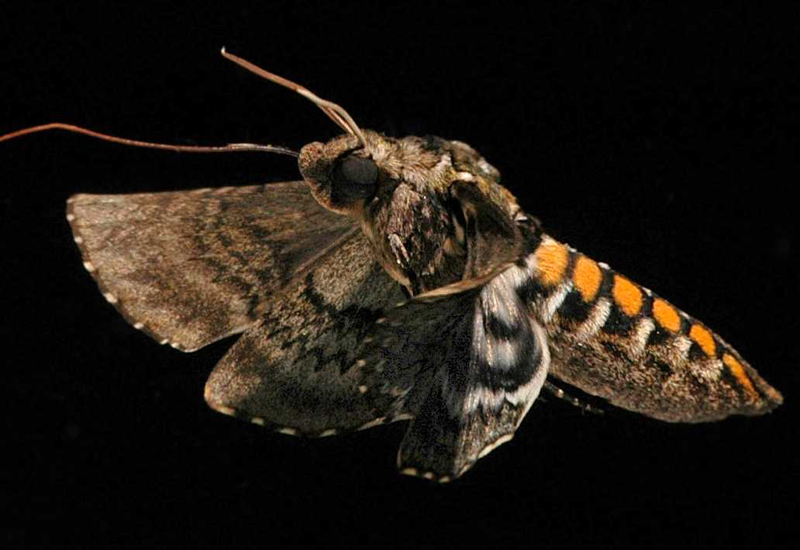 Mountcastle used particle image velocimetry, a technique commonly used to determine flow velocities in fluids, to study how air flowed over the wings of the tobacco hawk moth. The method combined laser light and high-speed digital video to model air flow.